Coming off of a win in his last start, Tiger Woods is set to defend his title this week as the PGA Tour heads to Bay Hill for the Arnold Palmer Invitational. Arnie’s Place is one of the marquee stops on the PGA Tour every year, attracting the type of field that is usually reserved for only the four majors and WGC events, but despite the quality of players entered, scoring is usually at a premium at Bay Hill. In the last six years, the winning score has ranged from 5 to 13-under par, and has been consistently difficult since Palmer attached his name to the event in 2007 and made changes to the course in 2009. Players will need to take advantage of the 4th and 16th, two par-4’s that were converted to par-5’s with the redesign and now play as the two easiest holes on the course, a stark contrast to the original design as they were the two most difficult holes back in 2008. The signature hole is the 18th, a relatively short par-4 by today’s standards, but one that has given many players trouble over the years and has produced a ton of signature moments for others. At 458 yards, there really isn’t much to it off the tee, assuming that players can find the large fairway. Most players will be looking for a drive of around 300 yards on the left side before the fairway narrows and brings the water into play on the right-hand side. When the pin is tucked in the back-right corner, which it will be on Sunday, players will have a long carry over the water and rocks that guard the green, with a massive bunker behind it for those who go long. If they decide to bail out on the left side, they’ll likely end up in one of two traps that take up roughly 90% of the area. Last year, it was the number one handicap hole on the course, playing to a 4.29 average, the highest it’s been in the last five years. That’s seven wins at Bay Hill, typically known as a “Tiger Track”. Torrey Pines is the only place where he’s won more titles, getting his eighth this year, and it’s hard to envision a scenario in which Woods isn’t in the thick of it at the end. At 3-1 I don’t see enough value there to even bother, and even though he’s playing well to start the year, it’s difficult for anyone to win back-to-back events. The other scenario to watch play out is the return of Brandt Snedeker this week. Snedeker hasn’t played since he won at Pebble over a month ago due to a rib injury, but he still hasn’t lost his lead in the FedEx Cup thanks to his incredible run at the start of the year that looks like this: 3-23-2-2-1. It’s so tough to predict how a player does when coming back from an injury, so I’m going to wait it out with him and see what happens. I won’t be surprised to see him win this week or bomb out, but it’s worth noting that he’s never played really well at Bay Hill, with his best finish being a tie for 14th back in 2008. Rose has finished in the top-25 in eleven straight events worldwide, and 23 of 31 events dating back to the beginning of last season. His putter sometimes causes problems for him on occasion, but you’d be hard-pressed to find a better tee to green player in the world, and he does have four top-25 finishes in his career at Bay Hill, including a T-3 here in 2011. Coming off of a T-8 at the Cadillac and a T-4 at the Honda, Rose is simply playing too well to ignore. Much like Rose, Garcia has been ridiculously good over the past little while. He hasn’t finished outside of the top-25 since the PGA Championship at Kiawah last August, and only one of those rounds (Barclays at Bethpage Black) has been higher than a 73, which would be impressive for anyone, but especially so for the streaky Garcia. He’s got six top-10’s in 11 career starts at Bay Hill, and while his ball striking has remained superb, his putting has actually started to come around. Garcia’s my favourite play this week. After missing the cut in his first start of 2013, McDowell went 3-1 in the Match Play and has followed that up with back-to-back top-10 finishes. He’s finished as the runner-up twice at Bay Hill, once in 2005 to Kenny Perry and last year to Woods where he fired a second round 63 before fading away on the weekend. Speaking of fading away on the weekend, here’s Jim Furyk! Furyk actually played well for much of last week until Sunday when he couldn’t close another tournament, falling five shots short of the mark set by Kevin Streelman at the Tampa Bay Championship, but 41-1 is simply too high for him. He’s been playing pretty well to start the year, and hasn’t finished outside of the top-11 at Bay Hill in the last three years. A first round leader bet is something to consider with Furyk, but keep in mind that he’s been sub-70 once in opening rounds at Bay Hill since 1996. Poulter’s four missed cuts in seven events at Bay Hill don’t exactly inspire confidence, but he has finished T-12 and solo third in the last two years, plus he’s been playing well enough that the 47-1 number seems a little too high. 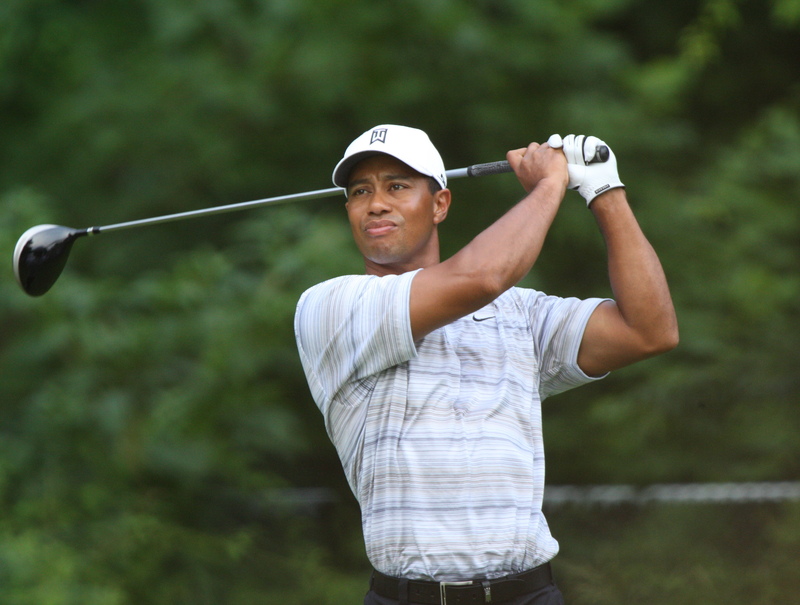 His best attributes, putting and accuracy off the tee, will always keep him in contention. This isn’t the first time that I’ve suggested DeLaet as a play, and I’ll probably keep doing it at these prices. He’s too good of a ball striker to not win an event sometime soon, and his putting has been improving, so why not at 162-1? He’s finished inside the top-20 in each of the last three events, so he is getting closer. You can do far worse at that kind of a number. I still like Phil. I think Tiger may still be over rated. He is a great player for sure, but other pros may think he is getting too much respect. Phil’s a threat to win any week, for sure. Even though he’s had some success at Bay Hill, he hasn’t finished inside the top-20 since 2002, so there could be something about it that he just doesn’t like. Could be related to the course changes made in 2008 too. 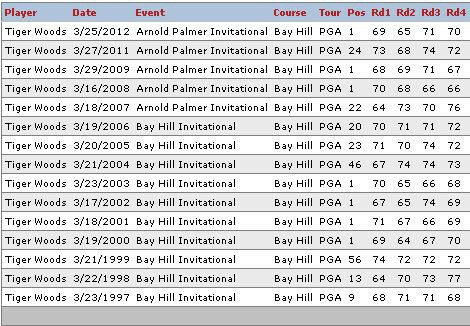 It’s so tough to watch Tiger over the past couple of weeks and say he’s overrated though, especially on courses where he’s had a ridiculous level of success, like Bay Hill. For sure. Certain courses fit well it some players game. Bayhill is definitely one for Tiger. I am not sure Tiger is over-rated, but he has to earn his stripes again. There is no doubt that he is one of the best golfers today. By the way, where is Rory? Not playing this week, but he’ll be in the field at the Shell Houston Open next week and then the Masters in the second week of April.